Ronnie O’Sullivan survived a huge scare to book his place in a sixth Betway UK Championship final with a 6-5 win against Marco Fu at the Barbican Centre this evening. The ‘Rocket’ will be looking to maintain his 100% record in UK finals when he plays world number one Mark Selby tomorrow and if he can win the title will equal Steve Davis’ record of six UK crowns. First to ten frames will take the £170,000 top prize. O’Sullivan will also be aiming for his 29th career ranking title which would put him ahead of Davis and John Higgins, though still well behind Stephen Hendry’s record of 36. The first two frames of the match were shared, before O’Sullivan took a 3-1 lead at the mid-session interval with breaks of 76 and 54. Fu hit back with a century break after the interval, before O’Sullivan responded with 58 for 4-2. Back though came Fu, capitalising on uncharacteristic misses from the world number eight with breaks of 85 and 59, before he stole the ninth frame on the black to move to within a frame of his reaching second UK Championship final and first since 2008. A strong safety shot on the final red looked to have set up a match-clinching chance for Fu, but a missed green with the rest would ultimately prove costly. O’Sullivan cleared the table for 5-5 then dominated the decider with a stunning break of 130 to seal victory. 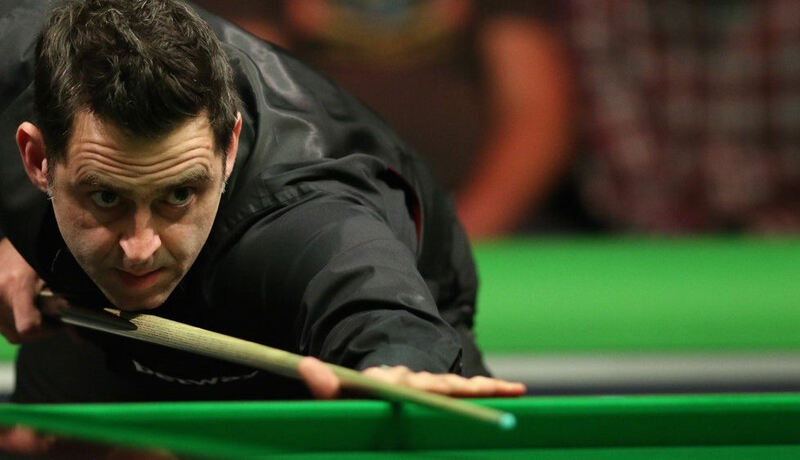 “You just find something sometimes, you have to,” said O’Sullivan, who will be looking to win his first ranking title since the Welsh Open in February. “I tried the whole match. I stayed focused, I stayed professional, I didn’t beat myself up. I did everything that was in my control to do but just sometimes it’s either there or it’s not there and I just had to grind it out. “I was a little bit nervous,” said Fu. “The yellow I was slightly the wrong side. I tried to go off two cushions for the green, but I just nudged the blue otherwise I would have been perfect and the rest shot I just twitched a little bit under pressure.